Tis the season for pomegranates! I used them in a salad a couple weeks ago and was trying to find a way to use up the other pomegranate I had in an equally delicious, but more creative, way. My good friend (we’ll call him D) told me he made spinach with pomegranate seeds in it, and I deemed him the genius of our time. It adds a nice crunch and sweetness to an otherwise soft and bitter green. And, as we all know, bacon makes everything delicious. In a large pan, cook the four slices of bacon until crisp over medium heat. Remove from pan once cooked and let drain on a paper-towel covered plate. Crumble once slightly cooled. Leave the bacon grease in the pan and turn the heat to medium-low and add the spinach, tossing to fully coat in the grease. Add salt, pepper and cayenne and toss again. 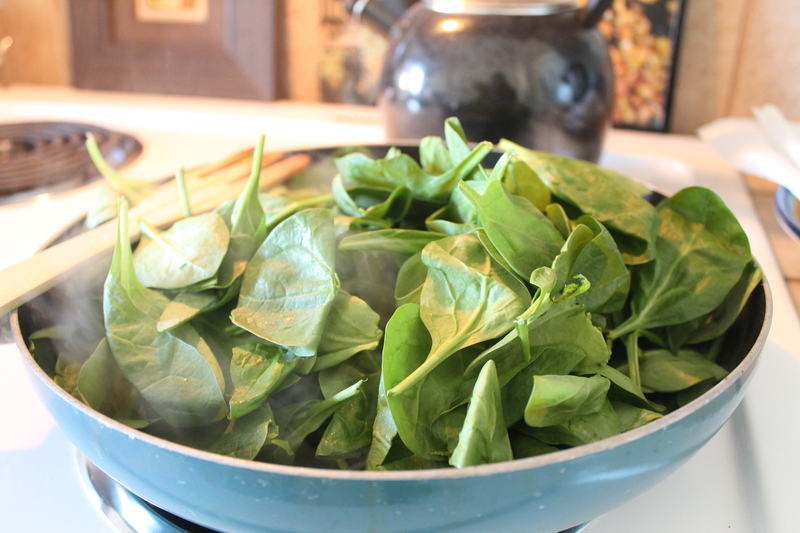 Cook until spinach is just wilted, about two minutes. 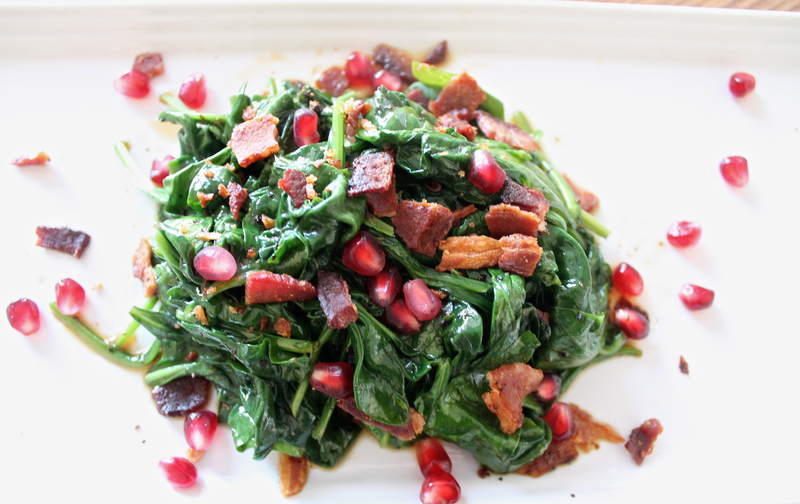 Plate the spinach and add the crumbled bacon and pomegranate seeds on top, tossing to evenly distribute. Serve and be amazed at how delicious poms are in spinach. Cut the bacon into one-inch pieces prior to cooking to avoid crumbling afterward. Not a bacon fan or going meatless? Add smoked paprika to the spinach and sauté in olive oil instead. If you want some more sweetness, add a drizzle of balsamic vinegar at the end.